When it comes to the situation to transfer purchased music from iPhone to iTunes, many of us may have grown accustomed to syncing the music on your iPhone through iTunes over the years since it is the default program for accessing and transferring music, photos and other files for Apple devices. Unfortunately, there’s no way for us to transfer non-purchased music from iPhone to iTunes because of the Apple’s concerns of getting involved in copyright protection issue. 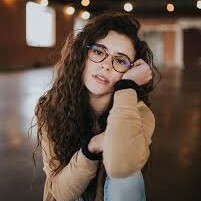 Hence, how to transfer non-purchased songs from iPhone to iTunes becomes so difficult and important to those who have lots of songs in iPhone for free. It’s not enough to know how to transfer purchased music from iPhone to iTunes, especially for those who has a smattering of knowledge about IT. So if you are on your way looking for an iTunes alternative as a solution, it’s absolutely worth taking a few minutes for this article .Here I’m going to show you how to transfer non-purchased music from iPhone to iTunes for free. As we all know, here’s what we normally do when we transfer purchased music from iPhone to iTunes via iTunes. Step 1: Open iTunes and choose “Edit > Preferences > Devices” and then check the square beside “Prevent iPods, iPhones and iPads from syncing automatically”. Step 2: Connect your iPhone with the computer via a USB cable. Step 3: Click Tab “File” in the top left corner. Step 4: Click “Device” tab and tap on “Transfer Purchases” button in the prompt that appears on your screen. OK. That’s how to Transfer purchased Music from iPhone to iTunes. That’s what you need to do when you want to transfer purchased music from iPhone to iTunes. Now you could enjoy music on your computer anytime you want. How to transfer non-purchased songs from iPhone to iTunes? This is really a challenging job for lots of people. Luckily, one third party software named Leawo iTransfer can be our good choice. This all-inclusive iOS data manager can always give you freedom to manage your songs wherever you want. Let’s take a brief look at this wonderful tool and learn how to transfer non-purchased music from iPhone to iTunes for free with Leawo iTransfer. As a powerful application, Leawo iTransfer makes it perfectly easier for the users on how to transfer non-purchased songs from iPhone to iTunes. Not only that, you can complete how to transfer non-purchased songs from iPhone to iTunes just in seconds. You don’t even have to be professional at IT at all. All the steps are easy for anyone as well as the layman. You can transfer your music from your iPhone, iPad or iPod back into your iTunes or your computer anytime you want. With a few clicks, you will find how easy and convenient it is. Perfect backup will make your device well equipped so you don’t have to worry about the data loss problems. You can freely manage and share your music with Leawo iTransfer without iTunes. Powerful freedom was added to your music, something which iTunes can’t give to you. With Leawo iTransfer, you can easily manage your A wide range of files like contacts, music, movies, TV shows, bookmarks and so forth. 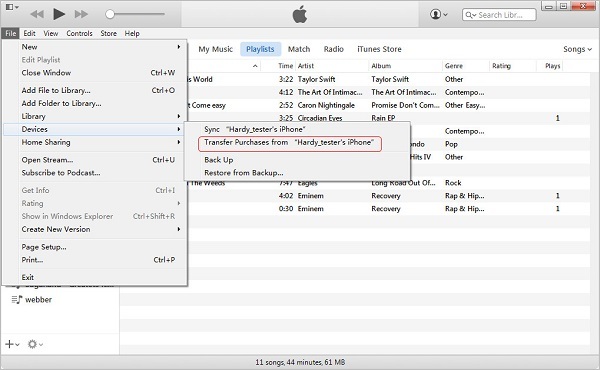 Now follow us to learn how to transfer non-purchased songs from iPhone to iTunes. To transfer music from iPhone to iTunes, just click https://www.leawo.org/itransfer/ to simply download and install Leawo iTransfer. Then connect your iPhone to computer to transfer music. Your iPhone will be automatically detected. Choose “iPhone > LIBRARY > Music” and then all the songs will be scanned and will be visible in the right interface. You can check the square right on the left of the tab “Name” to select all songs. Or you can simply check any songs by holding “Ctrl” button. Afterwards, click the transferring arrow at bottom right corner to transfer non-purchased music from iPhone to iTunes. In a pop-up window, check “Transfer to list”, and then choose “iTunes”. Click tab “Transfer Now”. Then Files will be successfully transferred to iTunes in a few minutes. Leawo iTransfer is well capable of transferring data by multiple ways. It will make your life more convenient once you give it a try. What Leawo iTransfer can bring to you will be beyond your expectation. So why not download it and have a free try? You will not regret it.